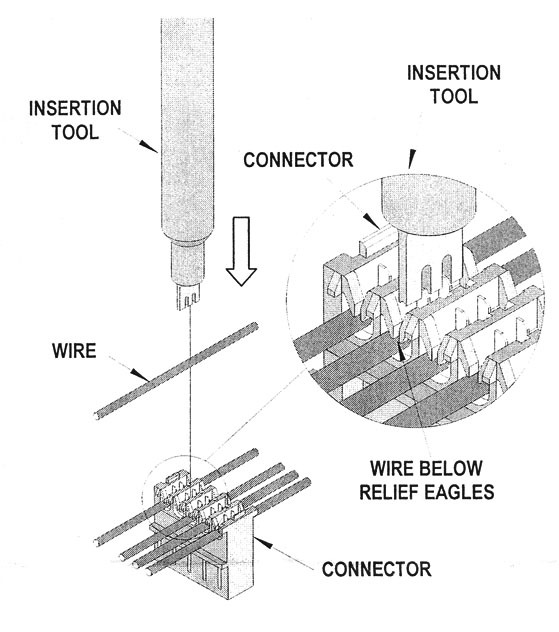 Wire insertion / punch down tool for use with 0.100" IDC connector housings. 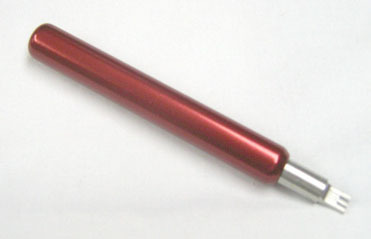 This tool is used to press the wire down into the IDC connector from the back side. Built-in pins in the IDC housing will 'bite' into the pressed-in wire to hold it in place and make the electrical connection. Replaces Bally # K-554, 59803-1, and 59804-1.